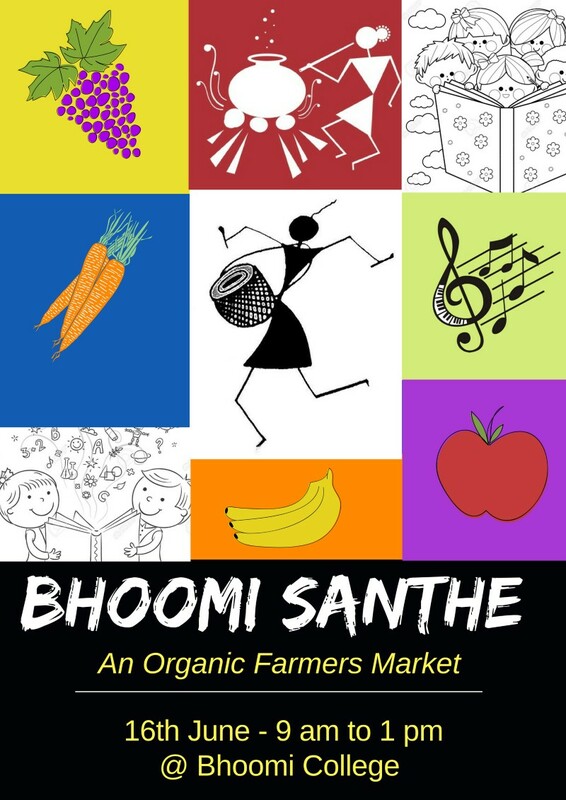 Vegetables, Fruits, Home and Garden Supplies, Saplings, Groceries and Personal Care Products. Request all to carry enough cash and bring cloth bags and empty cans for taking back the produce. 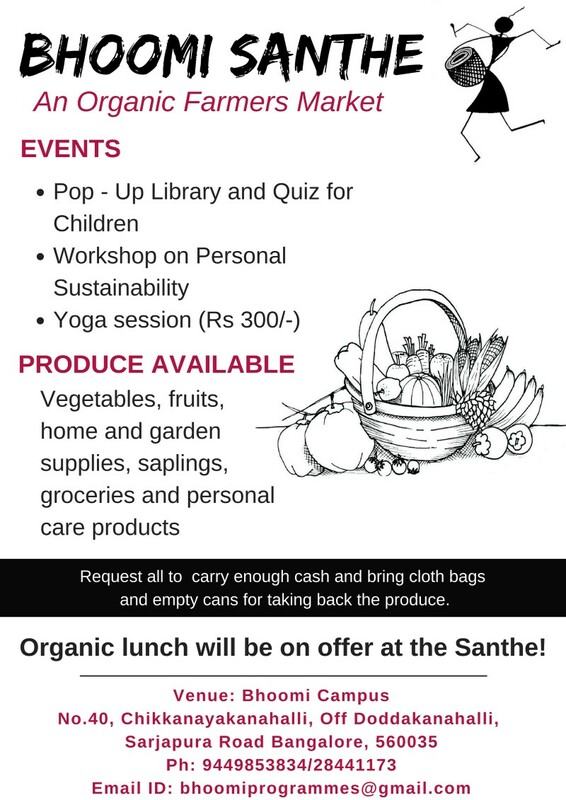 Organic Lunch will be on offer at the Santhe!